The results of lab tests have a big impact on your health. 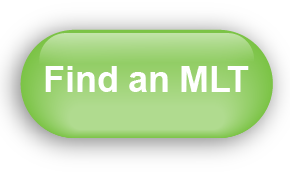 Approximately 7,000 medical laboratory technologists (MLTs) perform nearly half a million lab tests in Ontario each day – and every single MLT is a regulated health care professional. The College of Medical Laboratory Technologists of Ontario (CMLTO) protects your right to safe, high-quality health care through self-regulation of the medical laboratory technology profession. Where to find a lab. How to make a complaint about the conduct of a lab professional. About our role in public protection. Recent news, information and more in the resources section. To learn about point-of-care testing, click here or visit the About Lab Tests section of our site. Ontariohealthregulators.ca is the one-stop gateway to the websites of all the health regulators in Ontario. 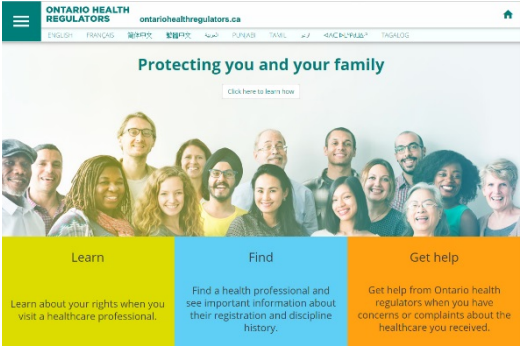 The public can find the most trustworthy, relevant, and up-to-date information about Ontario Colleges and the health professionals they regulate from the site. Ontario Health Regulators has released a video that can be viewed here.